It seems like I spent the week driving to and from airports, sitting in airport terminals and changing planes. The trip was nice but it would have been nicer without the 6 hours flight delay in Memphis (equipment problem). A few lessons were waiting for me when I got home which I was able to review the next day. Other than that, it was a very slow week. This week the topic is how to read cables. This is something I found very confusing as a new knitter. If I didn't have a row counter I was in serious trouble. I finally took the time to analyze cables which has made my life easier. I am not so dependent on row counters. I still do use row markers but in a pinch I can decipher a cable. We'll do simple cables this week and more complicated cables next week. All of the cables in this lesson slant to the left. 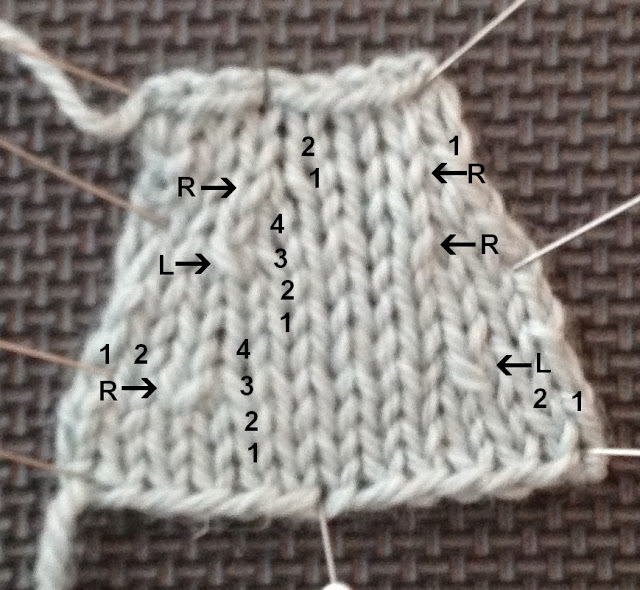 For a cable to slant towards the left, the stitches on the cable needle are held to the front of the stitches. 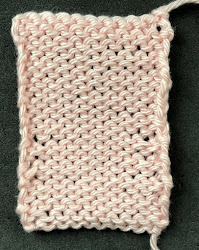 Row 5: Place 3 sts on cn and hold to front, K3, k3 stitches on cn. Notice how the cable changes the appearance of rows 2-4. This is what makes it difficult to read cables. 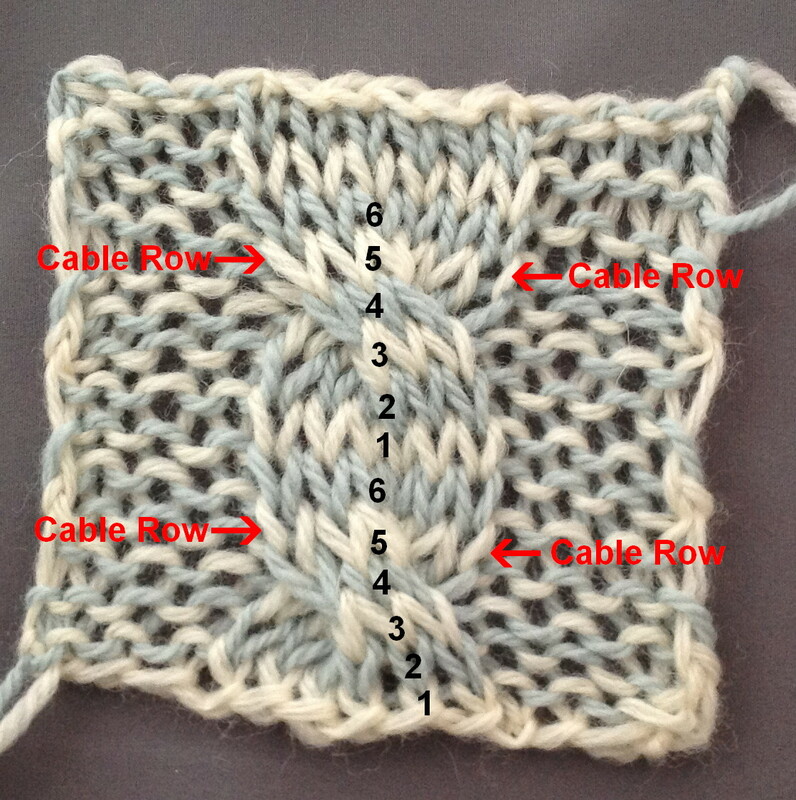 The easiest way I know to identify the actual cable row is to stretch the cable horizontal and example the stitches. 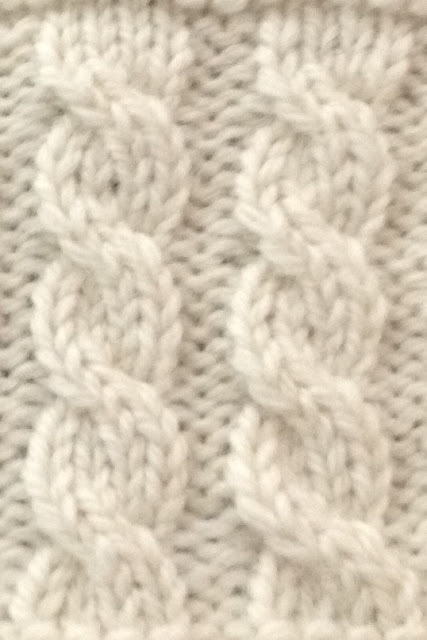 In the rows before the cable, the yarn used for the stitches is not continuous. 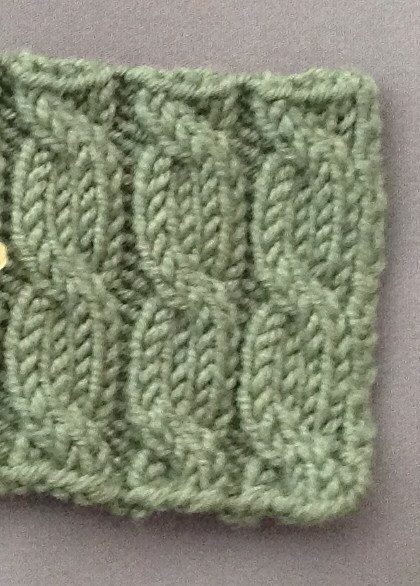 For the cable row, the yarn runs from stitch to stitch. 1. How many rows are between the cables? 2. How many stitches are in the cable? 3. 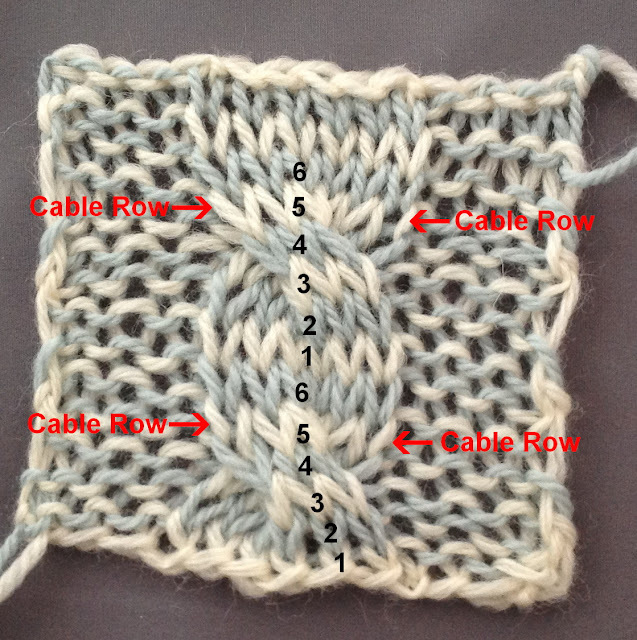 How would you write pattern instructions for the cable row? Salon this week will be on Sunday from 1:30-3:20. There is a basketball game on Saturday. 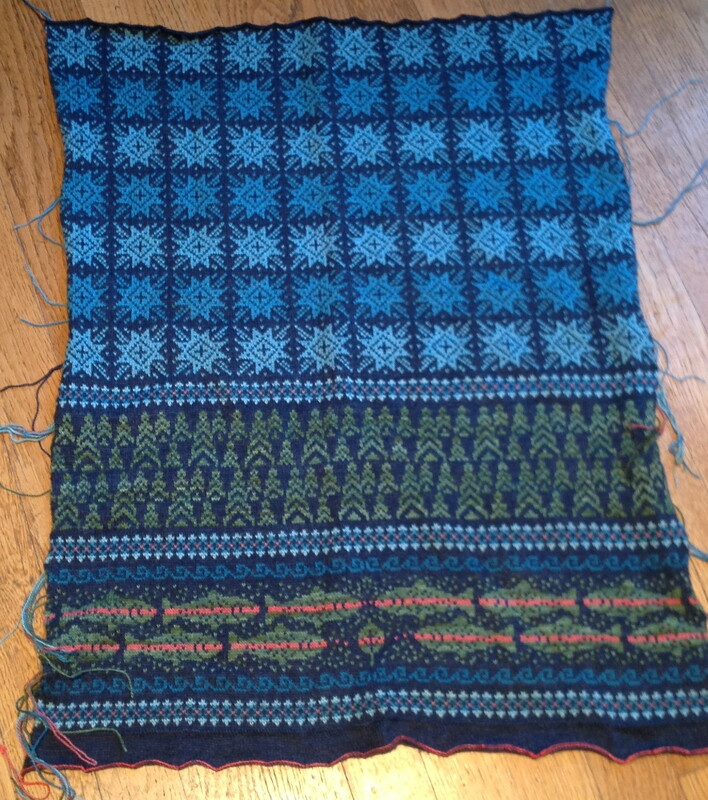 It isn't easy to work on a stranded project on planes and airports but I did manage to finish the back. I'm quite pleased. I find it easiest to count cable rows on the WS of the work. The first row uninterrupted row of purl sts is the row on which the cable was worked. Once you have the number of rows between cables (4, 6, whatever), it's time to work another cable row. Where did this pattern come from? I'd love to use the star pattern for something (knit with much bigger needles though).